Happy International Women’s Day! Read our top travel news stories below, including advice from female travel leaders in honor of today’s national holiday, more details on the much-anticipated Hawaii flights via Southwest Airlines and more. 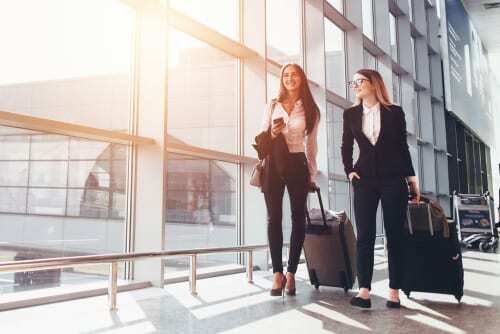 In honor of International Women’s Day, Travel Pulse spoke with a group of female leaders in the travel industry, including those that own their own travel companies and some that hold top positions at international travel companies. This article summarizes their take on how women can be more successful in the travel sphere. It also delves into topics like the obstacles some women face because of their gender, race, age or sexual orientation. In addition, read about these women’s mentors and how women in their field shape hospitality and travel norms. Southwest has been teasing travelers with hopes of Hawaii flights for almost two years now. This month (March 17) this hope will come to fruition with flights to the Aloha State starting at just $49! Flights will fly between California and Hawaii. They are selling very quickly, so consider yourself lucky if you happen to get one of these hot commodities! Read on for more info from Travel + Leisure. The travel industry grew exponentially in 2018, adding $8.8 trillion to the world’s Gross Domestic Product, as well as adding 319 million new jobs worldwide. Overall, travel and tourism generated 10.4% of the world’s total economic activity in 2018. The international growth was partly due to the extreme growth in the “Oceania” region, which includes Australia, Malaysia, Indonesia and the Southwest Pacific islands. In addition, travel to Southeast Asia, India and China aided in the growth of the industry. Read on for more details from Forbes. In an effort to upgrade international security, the European Commission will begin enforcing special visas for Americans to enter Europe starting January 1, 2021. Americans will need to apply for an ETIAS, or European Travel Information and Authorization System. This will apply to 22 countries in the “Schengen Zone”, which icnludes France, Germany, Italy, and 19 other European countries. This also includes the United Kingdom. This visa will be valid for only three years, but will allow multiple entries into Europe during that time period. Costs are not yet known, but Travel + Leisure provides more details in their article. United Airlines uncovered an apparent “brokering scheme” which involved 35 of their employees selling their travel privileges. Their employees travel benefits allow nearly free flights for friends and family only. They made a statement on the seriousness of this rule when they fired 35 of their employees that were involved in the brokering scheme. Read more from Courant on this topic. The global virtual-reality market is expected to increase from $7.9 billion in 2018 to $44.7 billion by 2024, according to a recent research report published by Markets and Markets and quoted in this New York Times article. Companies are beginning to develop more realistic and useful virtual and augmented reality apps. Developed specifically for travelers, you may be using these apps more often in airports and on your vacations. For example, you know those clunky boxes that are the size of the overhead bins? You may have seen them next to bagging check areas. Travelport worked with easyJet to build a new augmented reality app that helps travelers find out if their carry-on bag will fit in the overhead before they board. This would eliminate the need for those space-taking boxes at check-in lanes. Call us today at 402-390-9291 to book your next getaway! In addition, get started online here.